Want to write New York Times bestselling author David Sedaris? 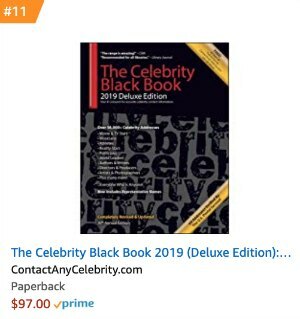 To get David Sedaris’ agent contact information including phone & email address, join Contact Any Celebrity with a FREE 7-Day Trial! a Cleveland man who’s written a gay travel guide and wants my help finding an agent. a Seattle drama group asking for an essay on how theater has changed my life. a German woman writing her Ph.D. on the role of the diary in contemporary American fiction. She too is on a deadline and asks that I call her Tuesday, Wednesday, or Thursday, trying several times per night until I reach her. a gay choral group asking for mementos they might auction off at their upcoming fundraiser, Life Is a Cabaret. It’s interesting how as a struggling writer, Sedaris looks forward to receiving fan mail, hoping to both receive it and answer it, even for others. However, more than ten years later, after he makes it as a bestselling writer, he begins to tire of it, as everyone seems to want something from him. Dallas! David Sedaris is coming back to town May 1. See you there! This will be our 11 time! Can't wait. See you there! Bring Hugh! See you in Chattanooga on Friday. Can’t wait and will be bringing my Family too!! We went to hear him last year; he did not disappoint! Just got tickets to see him in Burlington, VT in Oct. Our 4th time seeing him! Ignatius city 🙂 Bon courage Mr Sedaris ! What was the name of the book he recommended last night?? I forgot just that fast! I just finished 'Calypso'.............amazing read (six kids, mother passed, father alive; I'm gay and a 'rebel'.....a couple of years older than you).....you are incredible....you say it so well. thanks! David, did you tell your yelp story in New Orleans? I saw him in Providence earlier this week and he just signed a lease on a 4 bed, 4 bath apartment on the upper east side in NYC. If anyone in New Orleans sees this, ask him if he's planning to move back to the United States? Aside from family, what if anything he misses most about the U.S. when he is abroad? Oh, I loved this. I am certain Mr. Sedaris chuckles realizing He is our world's voice of reason. I guess if you have not lived you can not truly appreciate the having lived. He shares his life through story and humor and out of it comes the profound. Splendid. Love him❤❤❤I have all his books. He's so funny. I love this! And I hope there are MANY more to come! I can't believe how awesome this is. Really, it is totally awesome. I will watch every Sunday just because I think David Sedaris is so awesome. Congrats on the new gig, David. You were awesome this week. Keep it up. I’ve been a fan since the beginning days on NPR morning edition. I couldn’t wait to buy Barrel Fever. I once drove from Ohio to Montpelier, Vermont to buy Holidays on Ice—Bear Pond Books. Before Amazon when you went to actual bookstores. And now, we are growing old together. He’s the best! I love his books and his comedic commentary! So happy when I saw you this Sunday and looking forward to MORE DAVID!! He's a wonderful writer; however, best as an audiobook narrated by him. 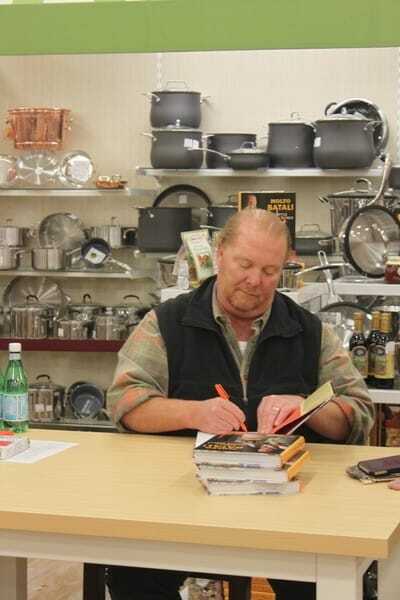 Had the pleasure of meeting him at a book signing. He's just as nice and funny in person as you'd expect. Huge fan! Thanks for the laughs. I could read David Sedaris and Nora Ephron every day, and still laugh, even if I had read it before. They are both just that funny. 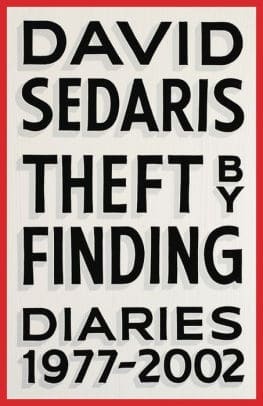 I LOVE David Sedaris so much! Kind of like an unexpected sneeze Daivid Sedaris hits you with thoughts; odd thoughts yes, but thoughts that stick with you and add humanness to the world. Thank you for joining one of my favorite shows! My great grandfather gave up his seat on the bus into his 90’s. He did not drive so he took the bus to go to minor league baseball games. David Sedaris’ story brought back good memories of my great grandfather. Just love him,could listen to him all day. Great jacket and nice bit. CBS should afford more time to authors so such “segments” don’t have to be rushed. Brilliant and observant as ever. This is me every day on the subway! There aren’t many people I love more than D. S.
Great legs. Great writer. I read and re-read every single one. I love him!!! David, which arm is your Fitbit on? Funny and cute, too! One of my favorite writers. Finally getting your style together. I thank the lord that Mr. Sedaris singlehandedly brought back wide legged pants. Thank you, kind sir. Thank you. I’m sitting here today in a brand new pair of wide legged jeans thanks to your efforts. I love this man. His humor is just the best! I have read and loved several of his books. Loving the culottes. Just got tickets to see you in Red Bank! All that walking has given you some great gams! Are those culottes from Japan? Nice legs David! I guess I could have them too if I walked 20 miles a day. The walks are working! Those are some fine gams! If I had those legs I wouldn't cover them up either. The entire Sedaris family has great sets of gams. Culottes from Japan, I hope?! Is this just to prove that you're not wearing a leg pee pouch? David, you have terribly exciting knees! His Billie Holiday singing style absolutely cracks me up!!! 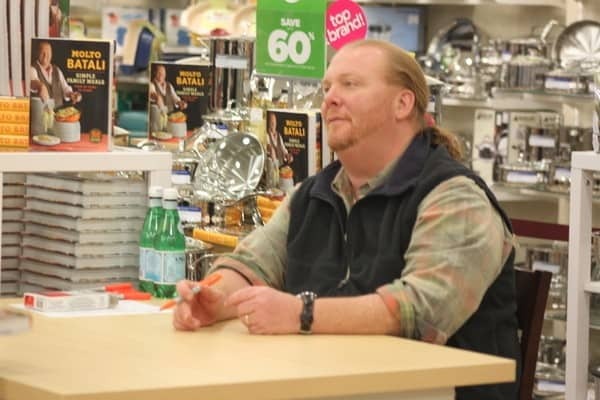 He and Amy are the best! Looks like the time I forgot my sneakers and t-shirt for gym class. Phaedra Parks Signs ‘Secrets of the Southern Belle’ + Porsha Stewart Sings! Posted by: Contact Any Celebrity | Comments Comments Off on Phaedra Parks Signs ‘Secrets of the Southern Belle’ + Porsha Stewart Sings! We caught up with Phaedra Parks last night as she signed copies of her new book, ‘Secrets of the Southern Belle.’ Phaedra was joined by her mom Pastor Parks plus fellow Real Housewife of Atlanta Porsha Stewart. Comments Comments Off on Phaedra Parks Signs ‘Secrets of the Southern Belle’ + Porsha Stewart Sings! 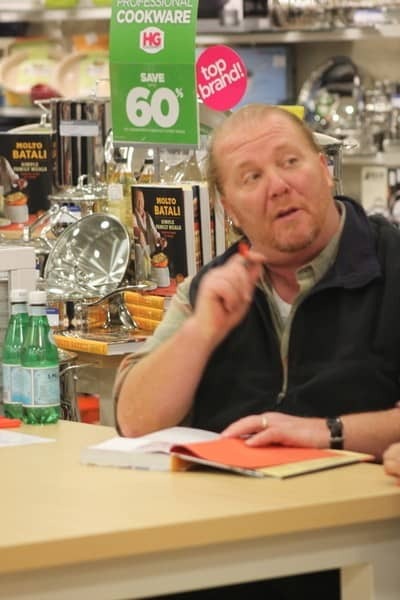 On Thursday, we caught up with Mario Batali signing copies of his book, Molto Batali: Simple Family Meals from My Home to Yours, at HomeGoods in New York City. 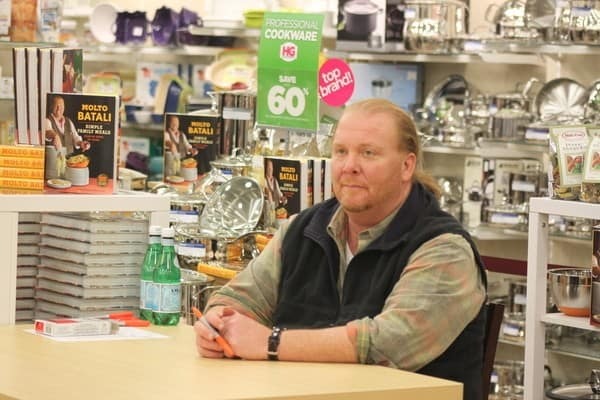 To contact Mario Batali, join Contact Any Celebrity now for instant access to our online database of over 60,000 celebrity addresses and celebrity contacts. 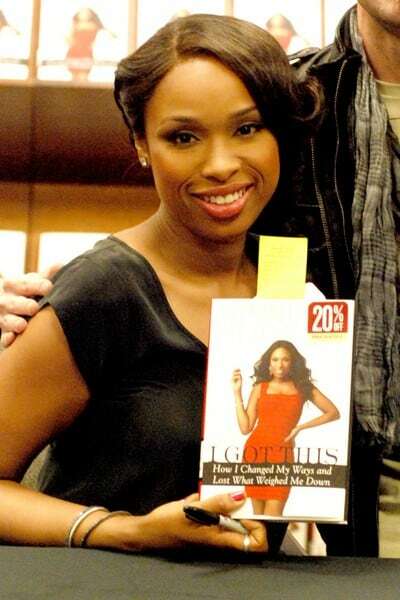 On Tuesday, we caught up with Jennifer Hudson at the I Got This: How I Changed My Ways and Lost What Weighed Me Down book signing at Barnes and Noble in Chicago, Illinois. To contact Jennifer Hudson, join Contact Any Celebrity now for instant access to our online database of over 60,000 celebrity addresses and celebrity contacts. 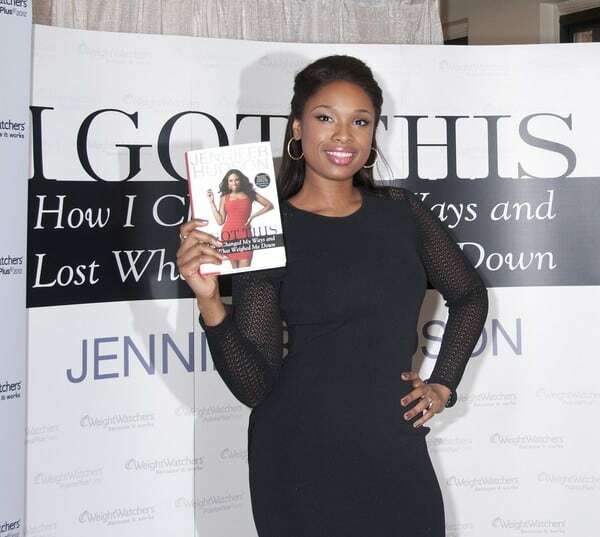 On Wednesday, we caught up with Jennifer Hudson at the I Got This: How I Changed My Ways and Lost What Weighed Me Down book signing at Weight Watchers Center in New York City. 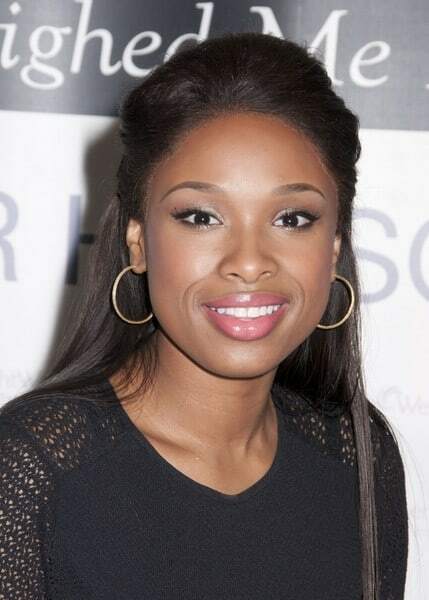 To contact Jennifer Hudson, join Contact Any Celebrity now for instant access to our online database of over 60,000 celebrity addresses and celebrity contacts.